There is a fair number of autistic children in the world at this moment. Parents of these children are looking for any treatment that will help their child. With the conventional medicine not being able to give any good results, people are turning more and more to alternative medicine. The experts are still unsure about the cause of autism and there is still no cure for the disease. There are behavior and communication therapies that may help these children but they will not have the same outcome with every child. Along with these treatments a child may be given some medications to control behavior. Statistics show that boys are more struck with this disease than girls. The look to the future is not good as well because experts predict that up to 6 children out of 1000 will develop autism. This is the reason why more funds are put in the research for alternative therapies that might cure autism. Parents of autistic children are in a position where they must turn to alternative therapies because the conventional medicine is not helping their children. Apart from the alternative therapies there are also complementary therapies as well. 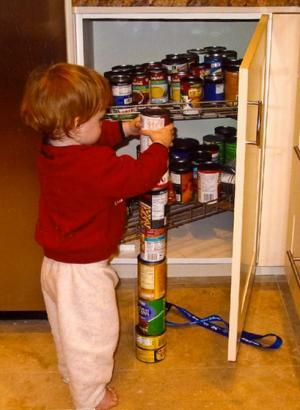 A huge number of alternative therapies concentrates on the nutrition to treat autism. There are some clinics that are also looking into this matter. There are researches which will determine whether DHA or Docosahexaenoic acid is an effective treatment for autism. DHA is a long chain polyunsaturated omega 3 fatty acid which can be bought as a nutritional supplement. Government has invested money into a Neuro Modulation Technique in order to see whether this is an effective therapy for autism. The key of this therapy is to reduce the maladaptive behaviors and increase adaptive behaviors in children who suffer from autism. While the scientists are looking for causes, genetic links, environmental factors and potential treatments for autism the parents are looking into various alternative therapies that might help their children. The parents are looking for therapies that will even slightly change their children's speech or behavior. A number of parents reported that dietary changes and alternative detoxifications have made a change in the quality of life for the autistic children. Twenty years ago not a lot of children suffered from autism, asthma or allergies. However, the number of affected children have risen in time. This is because of the constant exposure to toxic metals and chemicals that are in the environment. Some people think that autism occurs if the body is not able to detoxify itself. One parent who is sure that this inability to detoxify is the reason for autism came up with some diets. These diets are the gluten-free and casein free diet, the specific carbohydrate diet, the anti-candida diet, the specific food reaction diet and the low oxalate diet. What problems do autistic children face in everyday life?